Shelby Fero joins the ladies to discuss summer camp, stealing bedrooms, board games and more! Then a leprochaun (Ron Lynch) drops by to talk about cash for gold and how leprochauns come into existence. Born in the Bay Area, Shelby Fero is a writer, performer, and comedian living in Los Angeles, California. 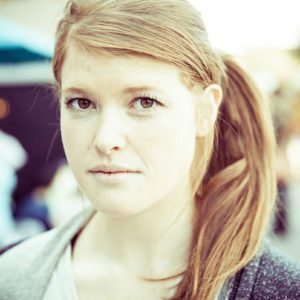 She began her career by contributing to humor websites such as Cracked.com, Funny or Die, and Rookie Magazine while still in high school — while also amassing over 100k followers on her Twitter account. Moving to LA the summer after high school, she interned at Cracked and Funny or Die before attending the screenwriting program at the University of Southern California. While there, she continued to regularly perform and write, leaving her sophomore year of college to accept a staff writing position for a new FX television show. Since then, she’s written for and/or appeared in numerous television and live shows, including @Midnight on Comedy Central, Robot Chicken on Adult Swim, and Girl Code on MTV. She has three siblings and two dogs.